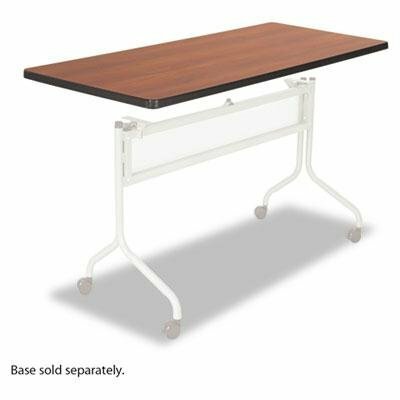 Impromptu Series Mobile Training Table Top Rectangular 48w x 24d Cherry - Ideal for training rooms conference rooms mail rooms or media centers. - 1" thick high-pressure laminate with durable vinyl edge band. - Top and Base sold and shipped separately—ORDER BOTH. - Top Color: Cherry Top Shape: Rectangular Top Thickness: 1" Overall Width: 48".